The Pac-12 is struggling. About that there can be no doubt. The conference has no teams in the top 10 in the RPI and only two among the top 40 (#16 Arizona, #37 USC). Joe Lunardi’s latest edition of bracketology holds those two teams plus Arizona State in his field of 68, with only Washington landing among the first four out. Jeff Sagarin ranks the conference sixth overall with only (again) the Wildcats and Trojans cracking his top 40. Nothing amazing is going to happen in February to salvage the league this year. The question is whether there are any signs of daylight cracking through the wall of despair the league has built between it and the upcoming NCAA Tournament. First, let’s look to youth. A quick scan of the PER leaders among freshmen shows a pretty impressive group of players. Now, this list does not encapsulate the entirety of elite freshman talent in the Pac. Stanford alone has Daejon Davis, who has already won a Pac-12 Player of the Week award, and KZ Okpala, who despite not playing until the final non-conference game is already garnering calls to the Cardinal offices from NBA scouts. Speaking of Players of the Week, Arizona’s Dusan Ristic and Utah’s Justin Bibbins just ended a three-week stretch from the new year onward when a freshman was the conference player of the week. The most intriguing part of this list is that, aside from Ayton, there isn’t a surefire NBA lottery pick in the group. That’s not to say there isn’t NBA talent on that list or elsewhere across the league. It’s to say instead that, aside from Ayton, most of this group should be back for at least one more season. That certainly matters, because Ayton’s ongoing brilliance isn’t going to single-handedly bring the conference back to glory. All right, Arizona State. You’ve got our attention. 12-0 is no joke, not with a road win at Allen Fieldhouse on your resume. A lofty #3 AP and RPI ranking means the Sun Devils can no longer be ignored or dismissed. A date with Arizona in Tucson where Arizona State will be ranked significantly above its rival Wildcats tells you that Netflix is not the only place where you can witness the Upside Down. Of course, in these times of instant gratification, that means every part of the Hero’s journey is accelerated, and since there’s nothing America likes to do as much as put a new face on a pedestal only to knock it down, it’s time for the backlash. Let’s talk about the most dubious aspects of Arizona State’s success and see if its profile suggests sustainability. Let’s bring the hate. First of all, Shannon Evans and Tra Holder are playing way too many minutes. Holder’s minutes in the last four games were 40, 37, 32 and 28. Trending correctly, right? Sure, as long as Longwood and Pacific are the opponents. Evans is right there with his teammate, playing just a shade under 88 percent of his possible minutes. Senior Kodi Justice is also playing 82 percent of his available minutes. 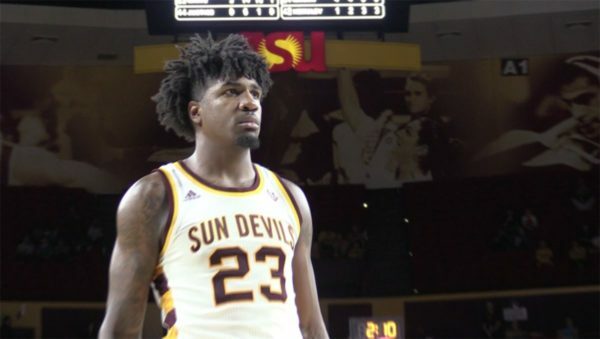 Our colleague Adam Butler is right in saying that benches and depth tend to be overrated in college basketball, but at 6’1” and under 181 pounds each, Evans and Holder cannot expected to play a full season at the blistering pace the Sun Devils have set for themselves. I’ll add a corollary. Depth quantity may not matter, but depth production does. You don’t need a 10-man rotation to win in college basketball. However, you do need to develop enough trust such that your best players aren’t pushing past 35 minutes on a nightly basis. That’s also an issue with Romello White, the 6’8” freshman forward who has provided a sorely needed inside presence for Bobby Hurley. It’s worth noting that Arizona State is ranked. In men’s basketball. It’s an infrequent Tempe phenomenon but something that’s perhaps not all that shocking. There were glimpses a season ago, however, and the Sun Devils returned a number of critical pieces while adding that which they were missing. And what were they missing? Size. Or at least anyone capable of grabbing a rebound. The Devils ranked 313th and 292nd in defensive and offensive rebounding, respectively, in 2016-17. Sitting on their bench due to NCAA red tape, though, was perhaps the answer. Romello White, a four-star prospect, is through three weeks of the current season presenting as the Sun Devils’ missing piece. 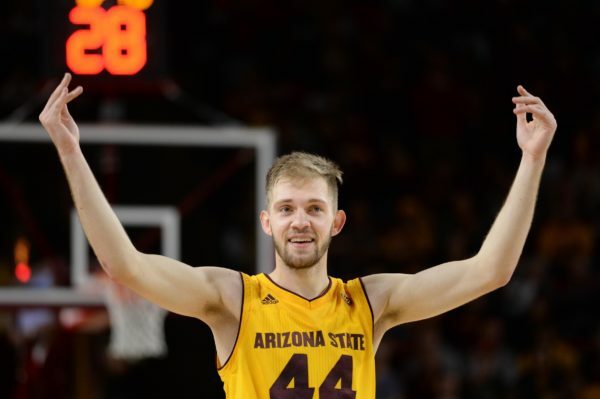 Arizona State isn’t necessarily any bigger in the aggregate, but the data suggests that a strategy of doubling down on small ball is paying off, thanks to White. They’re nationally ranked now, after all, and touting the nation’s 10th most efficient offense. The Sun Devils are making 43 percent of their threes (nuts) and 63 percent of their twos (even crazier). Beyond that, they tout the nation’s fourth highest free throw rate (54%) — an astronomical improvement from last season’s 31.9% (273rd nationally) — and both Tra Holder (36% career three-point shooter) and Shannon Evans (also 36% career) are shooting well above their career averages. In missing a low post presence, White has emerged as the dynamic talent capable of catapulting the Devils to new heights. At 6’8”, the freshman is already rebounding above his weight (59th in defensive rebounding percentage) while simultaneously drawing 8.3 fouls per 40 minutes. And it’s not just his weight. Operating at equal levels of big-man effectiveness is De’Quon Lake, a junior college transfer brought in to fortify what was an abysmal frontcourt. It’s working. Lake’s numbers are on par, if not better than, White’s.